TALLAHASSEE — Sometime in August 2013, Department of Corrections senior investigators Aubrey Land and John Ulm sat down with their boss, Inspector General Jeffery Beasley, to talk about possible corruption in the department. That day and in coming days, they detailed how they had found evidence that corrections officers had lied and had falsified reports, and how some of their fellow prison inspectors may have sabotaged an investigation by the Florida Department of Law Enforcement into the 2010 death of an inmate at Franklin Correctional Institution. Beasley did not seem overly concerned, one person who was at that initial meeting recalled, and instead complained that investigators were spending too much time with FDLE agents, who often turned every case into a longevity’ project. The comment didn’t sit well with FDLE special agent Ed King, a 25-year law enforcement officer who was in the room. “Son,” King is said to have replied, “you ain’t in Atmore, Alabama, no more. We don’t just walk by and kick a rock every now and then. We turn them over to see what’s under them around here.” Beasley had worked in law enforcement in Alabama. Turning over rocks is the job of the DOC’s inspector general, whose mission is to “protect and promote public integrity” and root out corruption in the department. “I think he is doing a great job,” Beasley’s boss at the Department of Corrections, Julie Jones, told the Herald/Times recently. But, according to records reviewed by the Miami Herald, Beasley and his office have a history of dismissing allegations and avoiding prosecutions when it comes to suspicious inmate deaths and allegations of abuse and official corruption. For the past eight months, the Herald and other news organizations have reported on a string of brutal, unnatural inmate deaths, on smuggling of drugs and other contraband by staff, and on purported coverups of wrongdoing. Like pieces of a puzzle, these allegations and others have started to fit together for some members of the Senate Criminal Justice Committee, who have concluded the nation’s third-largest prison system has demonstrated it is incapable of policing itself. Now, a long-shot idea advanced by reformers is gaining momentum. Sen. Rob Bradley, R-Fleming Island, has filed a bill to undertake a historic restructuring of Florida’s prison system by creating an independent oversight board — with its own investigators — to hold DOC accountable. He has the support of a majority of lawmakers on the key Senate committee, according to various interviews, and a growing number of his colleagues in the House and Senate. However, there’s no “if” about it — there is a problem, a huge one. Inmates are dying in Florida’s prisons, victims of torture and brutality. No one has been charged in these suspicious deaths, much less stood trial, despite the fact that one fatality has caught the public’s attention — the appalling case of Darren Rainey, who was scalded to death in 2012. The FBI is investigating a prison riot in Suwannee. The Florida Department of Law Enforcement is also looking into an inmate’s mysterious death there. An inmate in a Panhandle facility died after being gassed repeatedly by corrections officers. And there are others. Few state authorities, from Gov. Scott’s office to his inspector general to the head of Corrections, have leaped forth to avow that they will get to the bottom of whistleblowers’ and inmates’ credible allegations of institutional cruelty, tacitly tolerated by those in charge. 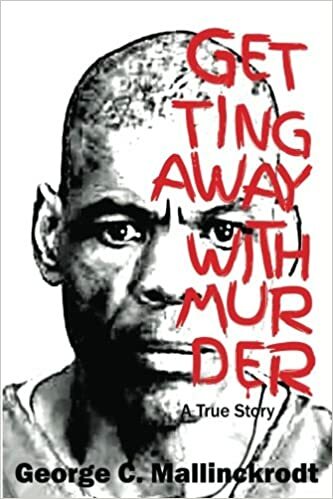 • Wednesday, the current chief of DOC, Mike Crews, finally roused, declared himself “outraged” — two years after Rainey’s death and two months after the Herald disclosed that he was strong-armed by prison guards into a shower stall and burned to death under searingly hot water. • Thursday, a now-energized Mr. Crews suspended Jerry Cummings, the warden of the Florida City facility where Rainey died. But none of this should be construed as leadership on Mr. Crews’ part. Backing and filling is more like it, unfortunately. Mr. Cummings is on paid administrative leave, but the two correctional officers who are said to have locked Rainey in the shower are still on the job. A lawsuit filed by four prison investigators claims Florida’s prison system is badly mismanaged and the results have been deadly. The four filed a federal whistle-blower complaint on Monday alleging that state prisoners were beaten and tortured, that guards smuggled in drugs and other contraband in exchange for money and sexual favors, and that guards used gang enforcers to control the prison population. They claim those actions were either tacitly approved or covered up. One of the most grisly examples of abuse mentioned in the suit, which was filed last week, is the death of 27-year-old inmate Randall Jordan-Aparo in September, 2010. According to former inspector Aubrey] Land, Jordan-Aparo, serving an 18-month term for credit card fraud and drug charges, was placed in solitary confinement and gassed multiple times by guards after he had begged to be taken to the hospital for a worsening medical condition. Land, who said he stumbled on the death of Jordan-Aparo while investigating other “garden-variety” corruption and abuses at Franklin, said the prison’s medical staff, corrections officers and supervisors later conspired to fabricate reports and lie to law enforcement about the events leading to the inmate’s death. Another case mentioned in the suit is that of 50-year-old mentally ill inmate, Darren Rainey. 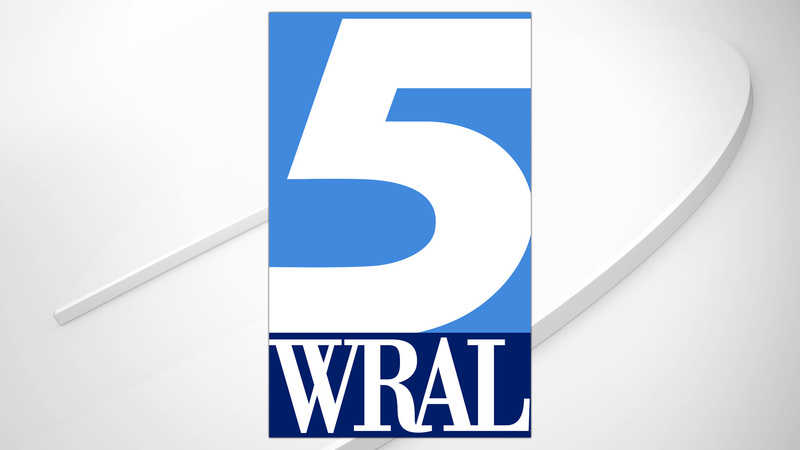 In May, 2014, the suit says, Rainey was put inside a scalding hot shower at Dade Correctional as punishment for defecating on the floor of his cell. Read more here. and act appropriately to stop these abuses and change the system! Yesterday the prison was locked down all day for the standard “mock execution”, the practice run which occurs a week prior to the actual premeditated killing. For the mock execution they lock down the joint, bring in an array of big wigs, and go through a dry run to make sure the death machine is in working order, everyone on their toes. The big wigs are just voyeurs, here to vicariously kill someone while allowing themselves the bare moral cover of not actually pushing the knife between the ribs. Their minions do the actual dirty deed while they can go home with technically clean hands. These mock executions are as depressing as the real thing, in the sense that it’s dispiriting to watch an entire organization (a prison, with all its constituent parts) so seriously dedicate their time and energies to practice killing a fellow human being, as if this is a good and natural thing to do. It takes some peculiar mental (not to mention moral) gymnastics to justify this to oneself, but we humans have proven ourselves immensely adept at self-delusion and hypocrisy, especially when we bring religion into the equation. We are really, really good at killing others in the name of God. We are a strange species, aren’t we? In the early morning hours of August 30, my friend Tom, who lived 2 cells down from me groggily awoke to find his face and pillow covered in blood and his tongue bitten about half off. He had no memory of what occurred. That morning his speech was slurred (over and above his extreme difficulty in speaking with a then-swollen, bloody tongue) and I noticed his thinking was confused. I told him he’d most likely had a seizure in his sleep (he has no history of seizures) and that because he was on high cholesterol medication he may have had a small stroke. Over the following days Tom suffered progressively severe headaches almost constantly and began sleeping excessively. His speech became increasingly slurred and his mental faculties were clearly compromised. I, and others, constantly urged Tom to try to get up to the clinic to see a doctor (even though the two doctors here are notorious quacks) and so he began trying to stop any passing nurses (who go down our row to deliver medications to some) to explain his situation, but none of them were interested. Most just said “put in a sick call slip.” At my urging Tom declared a “medical emergency” which is supposed to get you right up to the clinic. But instead, a nurse came to the wing, briefly examined Tom’s swollen (and now infected) tongue, gave him two Tylenol and told him he was just “out of luck” since no doctor was on duty on a Saturday night. My old pal Tom died on Friday, Feb 8th at 4:10 pm, alone in the clinic isolation cell at UCI. I hate that he died alone, locked in a tiny cell with no property (no radio, TV or anything to occupy his mind) and nobody to converse with, just laying on his bunk, staring at the ceiling, waiting for his final escape. His loved ones, who were able to travel from Texas and North Carolina to visit him for three hours just two days before he passed away wrote and told me that he was very weak and gaunt, could not keep down any food or liquids, but was lucid enough for a meaningful visit, though just barely so. Although I know his death was inevitable and imminent, I’m surprised at how much it has affected me. I’ve seen an awful lot of death during my many years in prison (way too much death, in all its myriad variations), including some friends, but Tom’s has knocked the wind out of me. Later last night they moved Paul off death watch on Q-wing and put him in the lone empty cell on my floor [after he received a stay of execution]. That’s gotta be a Hell of a transition; you are hours away from execution, you’ve had your final visits (imagine how emotional that is), made your peace with the inevitable, perhaps eaten your last meal, then, in a finger snap, you’re told you won’t be dying after all (at least not that night) and you are back on a regular death row cell talking with the Fellas. I’ve seen a number of guys go through this over the years, one of whom was just twenty minutes from execution in the electric chair when he got his unexpected stay. They moved him next to me and I was startled to see that his hair had turned almost entirely white during the six weeks he was on death watch. He died quietly in his sleep from a heart attack about six years later, right here on this floor. Today Governor Scott signed my death warrant and my execution date has been scheduled for June 12th, at 6pm. I wasn’t really surprised when they showed up at my cell door with the chains and shackles; for the last month or so I’ve had a strong premonition that my warrant was about to be signed, but that wasn’t something I wanted to share with you. On Tuesday they came and measured me for my execution/burial suit. Sometime soon I’ll be given the details on how “the body” will be disposed of following the legally required autopsy (will my cause of death really be a mystery?). I understand the State will pay for a cremation should I choose this form of disposal (I do) and my ashes will be available at a Gainesville Funeral home; but don’t quote me on that yet. Discussing the practical aspects of my upcoming death was a little disconcerting, but I took it in stride. I’ve been on death watch for 10 days now and I have 31 days left to live. (It seems surreal when I write that out, and just as surreal that all those around me accept this as a normal and natural thing). My cell (one of three) is next to the execution chamber so I won’t have far to walk. There’s another guy down here with me, his execution is set for 2 weeks before mine so assuming he doesn’t get a stay I’ll have a front row seat to how the final days and hours play out. Aren’t I lucky? Update: William Van Poyck was executed by lethal injection, and pronounced dead at 7:24 pm on June 12, 2013. TALLAHASSEE, Fla. — Florida’s new prison chief on Monday inherited a deficit of about $60 million and a legal dispute over privatizing inmate health care that he says could put his agency much deeper in debt. Michael D. Crews spoke about the challenges he’s facing as secretary of corrections a couple hours after Gov. Rick Scott announced his appointment to succeed Ken Tucker, who retired. Crews had been deputy secretary since last year. “I have total confidence in the people that I have the opportunity to work with here that we are ultimately going to get to where we want to be as an agency,” Crews told reporters. He began his 26-year career in corrections and law enforcement as a probation and parole officer. Later, he worked as a correctional officer and then had various jobs in the Florida Department of Law Enforcement including director of the agency’s professionalism program and chief of its bureau of standards. Scott, a former hospital chain CEO who was new to politics when elected in 2010, again has turned to an insider after initially appointing people without Florida government experience to many key posts when he took office nearly two years ago. His initial appointee as corrections secretary, former Indiana prisons chief Edwin Buss, lasted just six months. Scott forced him out in August 2011 after initial health care privatization bids would have benefited a consultant whom Buss had hired. Scott’s office also overrode a decision by Buss to give MSNBC access to Florida’s prisons for its “Lockup” program.